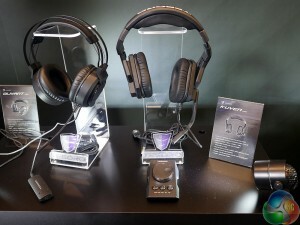 Although Tesoro had a lot of mice and headsets on show at this year’s Computex, it was its keyboards that stood out the most. Amongst all of the Cherry MX equipped, RGB backlit boards though, was one stark, white one, with a brand new type of infrared mechanical switch under the hood. Tesoro packed its booth with a lot of fancy looking hardware at Computex 2016. 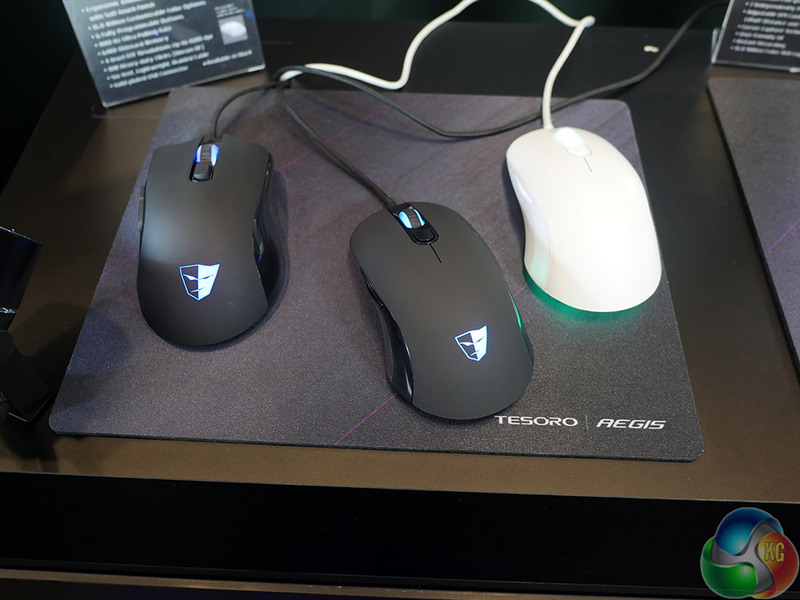 There was the Aegis mouse mat teamed up with the Ascalon mouse, the Kuven Pro and Olivant Pro headsets – but it was really the keyboards that were front and centre. 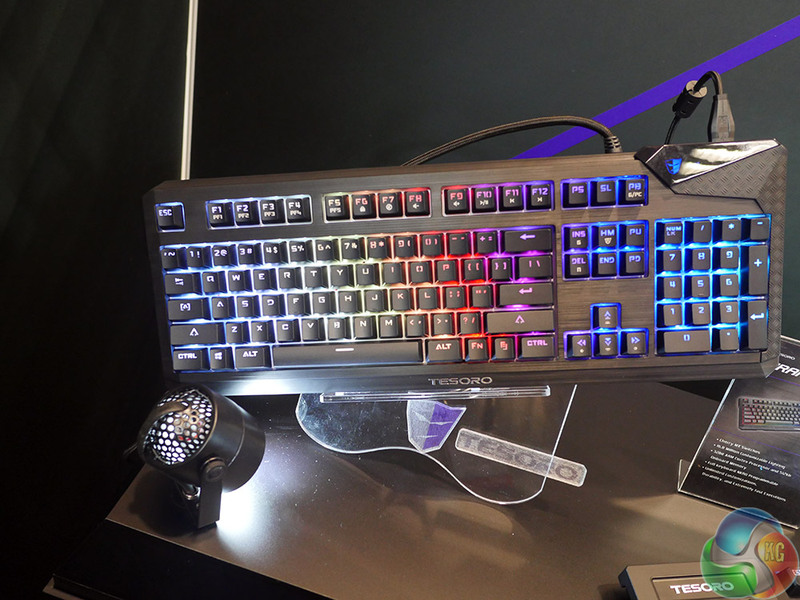 The Colada and Durandal Spectrum keyboards were quite typical of the sort of gaming boards which are most vogue right now – black with RGB backlighting, USB-passthrough etc. 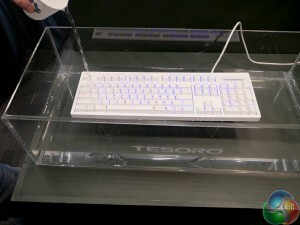 There were a number of other nice features on display, but it was really the new white keyboard Tesoro had on show. 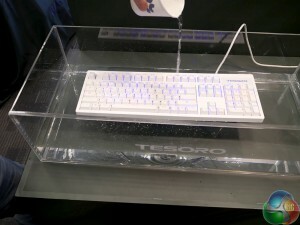 Although it wasn’t named by Tesoro at the event, it was clearly the company’s pride and joy as it told our man on the scene, Leo Waldock, all about its new switch design. 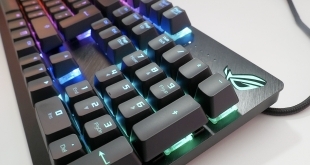 Known as the infrared IR switch, it has a traditional mechanical interface, but instead of actuating as it would normally, that happens when a ‘blade’ breaks a beam of infrared light. 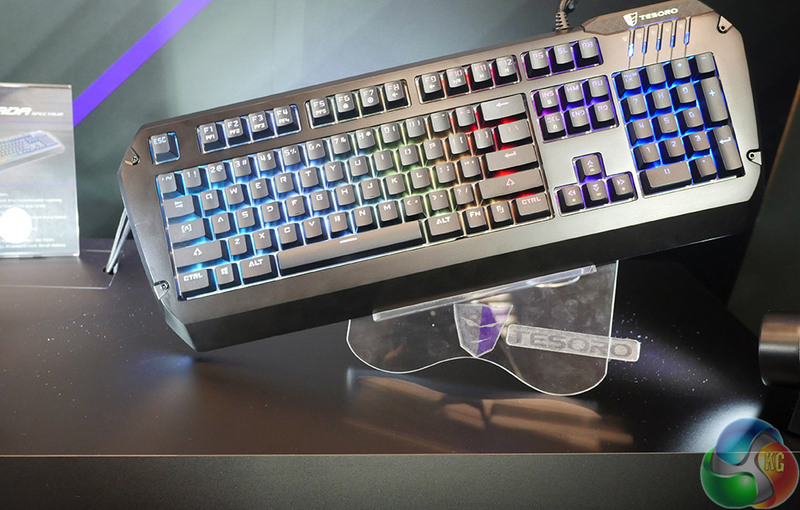 This is said to improve the actuation speed of each key, though we have no numbers on how much faster. As is evidenced by the pictures too, Tesoro was also touting the keyboard’s ability to be washed down without being damaged. KitGuru Says: Apparently this is a key feature for Asian internet cafés. 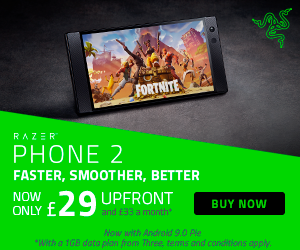 We’ll let you draw your own conclusions there.